The Ebonite Destiny Pearl was designed to produce length with a strong backend on medium to light oil. The Cyclone Torque core is surrounded by a GB 11.2 Pearl coverstock sanded down to a 1000 Grit Abralon finish and polished to create this reaction. This bowling ball offers a smashing value for your dollar! Similar Balls: Same Hook Potential, Lane Conditions & Coverstock as the Ebonite Destiny Pearl Green/Orange/Smoke. Choose Your Destiny..I Did WIth The Destiny Pearl! Choose Your Destiny..Im Glad I Added This Ball To My Arsenal It Has Really Gotten Me Through Some Tournaments And League Nights Were The Lanes Were Really Getting Dry..After Owning And Throwing The Cyclone Series This Ball With The Pearl Coverstock And Cyclone Torque Core Really Gives Me A Smooth Look Down Lane And Wont Overreact! You Definitely Get The Length And Stronger Backend Drive When Everything Else Is Just Hooking A Little Too Much! If You Are A Tournament Bowler This Ball Has To Be A Must Add To Your Arsenal! 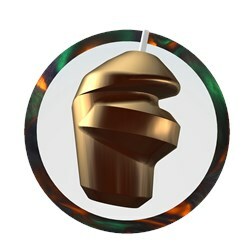 Another Great Addition To The Ebonite Line! Choose Your Destiny Today! Awesome ball for the price! This ball is a great addition for late in blocks when it becomes a little harder to get your ball down the lane. It is more angular than the Affinity and has a little more length. I drilled mine pin up with a 5" pin to PAP. This ball would be perfect for someone looking to get their first reactive ball for an affordable price, or a tournament bowler that is looking for some help getting the ball down the lane on the burn. I'm getting back into the game and needed a good ball to start over with. My pro guy suggested this ball and it's been great to begin with. It feels comfortable and responds well with my throw. I definitely feel I can predict where it's going and I'm able to adjust as I play. Same It will have the same hook potential, lane conditions & coverstock as the Cyclone. The Destiny series the new generation of the Cyclone. I have mine perhaps a board (two at the very most) stronger than the original Cyclone series, with a similar reaction at the breakpoint. 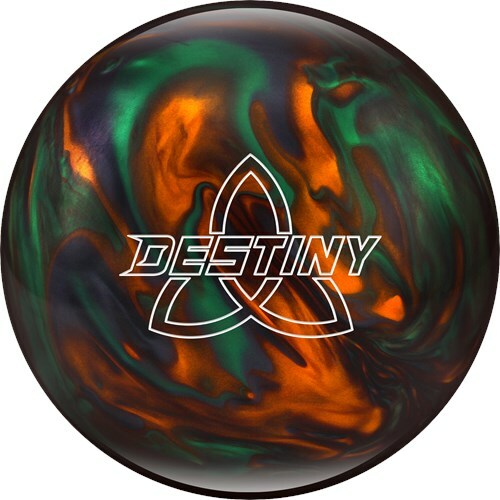 Due to the time it takes to produce the Ebonite Destiny Pearl Green/Orange/Smoke ball it will ship in immediately. We cannot ship this ball outside the United States.